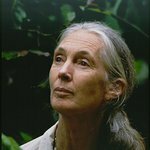 Renowned primatologist Jane Goodall, PhD, DBE, has described the treatment of monkeys used in research as “shocking and inhumane”, calling for a phase out of their use at the earliest opportunity. WATCH THE ‘BORN TO SUFFER’ VIDEO HERE. Europe’s largest primate facility, the Biomedical Primate Research Centre (BPRC) in the Netherlands breeds animals for its own use and other laboratories, collaborating with researchers in the UK and the US. Latest figures show that it has reportedly more than trebled its primate use, from 95 individuals in 2016 to 317 in 2017. The facility has some 1,600 primates; most of the macaques are kept in breeding groups of 20-40 individuals and when taken to be used in research for diseases are housed alone in small barren cages. At the end of the experiments they are killed. Since its release on International Primate Day, the findings of ADI’s investigation has caused shockwaves, particularly in the Netherlands where there has been widespread media coverage, questions raised in parliament and calls to close down the facility. The video has also been shown in the European Parliament at a meeting of the Intergroup on the Welfare and Conservation of Animals, where the use of primates and other animals in neuroscience research was discussed. As one of Europe’s largest primate users, ADI urges the UK to lead on this issue. The UK used 2,215 primates for research in 2017, seven times the number used in the Netherlands and nearly a quarter of the total number of primates used across Europe.